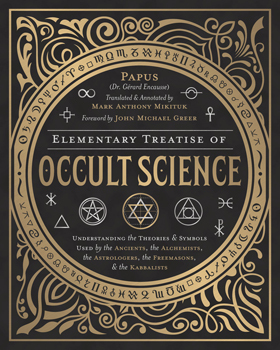 Papus' Elementary Treatise on Occult Science was one of the most influential books in the modern history of occultism. Never before published in English, this work explores a fascinating interpretation of the history of the world and it develops a powerful approach to decoding esoteric symbolism, a crucial skill for contemporary occultists. Papus also provides a stunning analysis of ancient mysteries including Hermeticism, Kabbalah, theurgy, magic, alchemy, theosophy, sacred geometry, the tetragrammaton, the pyramids, and much more. This premium hardcover edition will open the contemporary occultist's eyes to the ideas of one of history's most profound magical thinkers.